A cheque for £5,000 from SFHA member Berwickshire Housing Association (BHA) has helped a new Eyemouth-based social enterprise get up and running. Sea the Change strives to help create happier, healthier, more sustainable communities, encouraging the whole community to get outdoors, connect with others, and make some small changes to reduce our environment impact. 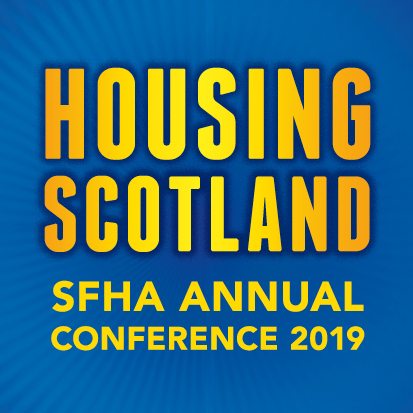 Berwick Housing Association (BHA) Operations Director Jean Gray, said: “BHA is very proud to be supporting Sea the Change. We have a strong track record of working closely with communities to address local issues and improve the quality of life of the most vulnerable people. “This project is for the whole Eyemouth community and we know all too well that we can't do it alone. The ability to partner effectively with other individuals and organisations - both inside and outside the community - is absolutely essential to ensure we can include even the most isolated individuals as well as make a significant impact on our natural environment. Alice Fisher, Executive Director of Sea the Change added: “A massive thanks to BHA! This funding has been essential to enable the start-up of Sea the Change – covering our rent and utilities, training and marketing costs. “We have lots planned – last week we had our first film screening and we are soon to start our summer beach school programme. In September we will be delivering our ‘Sea Happiness’ well-being sessions and are currently looking at getting some Beach Wheelchairs established in East Berwickshire.